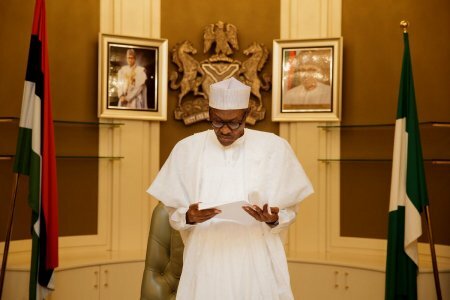 President Muhammadu Buhari remains undecided on what to do with the two senior officials of his government who were asked to step down from office more than five months ago. Both were suspended from office on April 19, 2017, and asked to go and clear themselves of allegations of corrupt practices before a three-man committee headed by the vice-president. Although the Senior Special Assistant to the President, Media and Publicity, Malam Garba Shehu, had said that there was no cause for anxiety as his boss was taking his time to consider the report. Presidency sources confieded in Thisday that the president might, in fact be in a dilemma on how to implement the findings of the Osinbajo committee, which reportedly indicted Lawal and recommended his removal from office. On Oke, the source said the committee found that the foreign currency equivalent of N13.3 billion found in a flat in Osborne Towers, Ikoyi, Lagos belonged to the NIA as claimed by the suspended spy boss, but queried the unusual operational procedures of the agency, which it argued were open to widespread abuse and corruption. Multiple presidency sources said although Buhari has no problem implementing the recommendations on Oke, since he (Oke) is expected to retire in a few months, and the regulations guiding the operational procedures of the NIA are within the powers of the president to review without recourse to the legislature, his main challenge is how to provide a soft landing for Lawal. Funny man.. Their anti corruption war is just one sided.